To equip students with an understanding of the “importance and role of financial analytics” in modern business enterprises and how business firms can take advantage with the help of financial analytics. Further, for students who wish to specialize in analytics, the course provides a strong foundation for the application of financial analytics with analytical platforms. 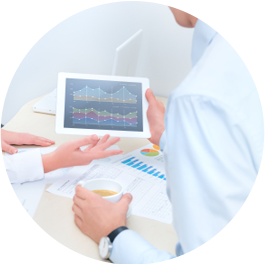 Explain the importance of financial analytics and applications. Handle the available business information/data more efficiently. 2. Financial Time Series and Their Characteristics: Asset Returns, Distributional Properties of Returns, Review of Statistical Distributions and properties of financial time series.